Athens is angry, it seems. It’s a tempered anger, for the most part, but it is lies always below the surface. One always has the feeling of underlying tension, not with each other, but with people and social systems in power. This is most evident in the ubiquitous graffiti. 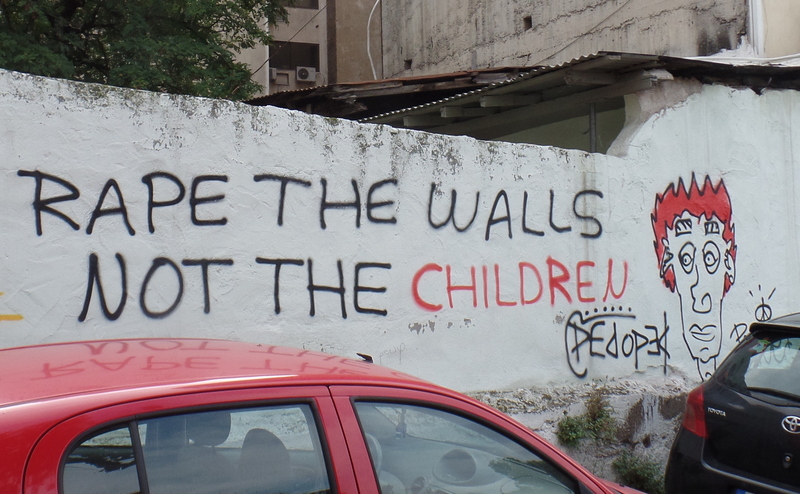 In Greece, especially in major cities but also in the countryside, graffiti is everywhere. From government to private buildings to parks and ancient relics, Greeks show their anger about their country’c economic collapse graphically, publicly. It is the art of protest. Other modes of art have similar themes. Music, video, painting, all of them carry an overtone of frustration and resentment. Even the dance scene evokes a protest ethic with their posters. Certainly the Canada and America have its share of protest art, but nothing the compares to the Greek scale. Graffiti here seems more about the message and less about obnoxious tagging. It has a meaning that surpasses its simplicity. Every aspect of art breathes with a vibrancy that enlivens the people and makes for one Hell of an exciting city. 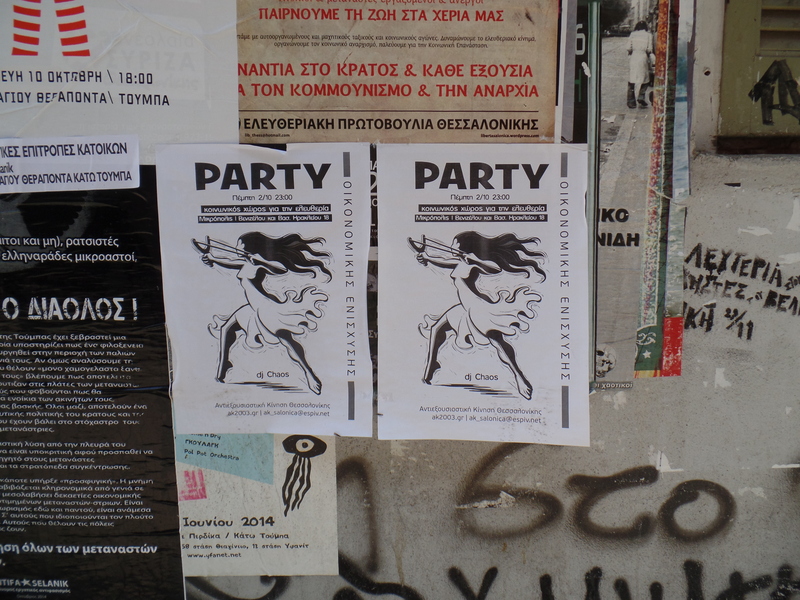 Below is just a small window into the Greek graffiti and outsider art scene from our short stay. If I were a young person, this is where I would love to be. The mix of old and new combined with an energy for positive change makes this an incredible crucible for defining the human condition.